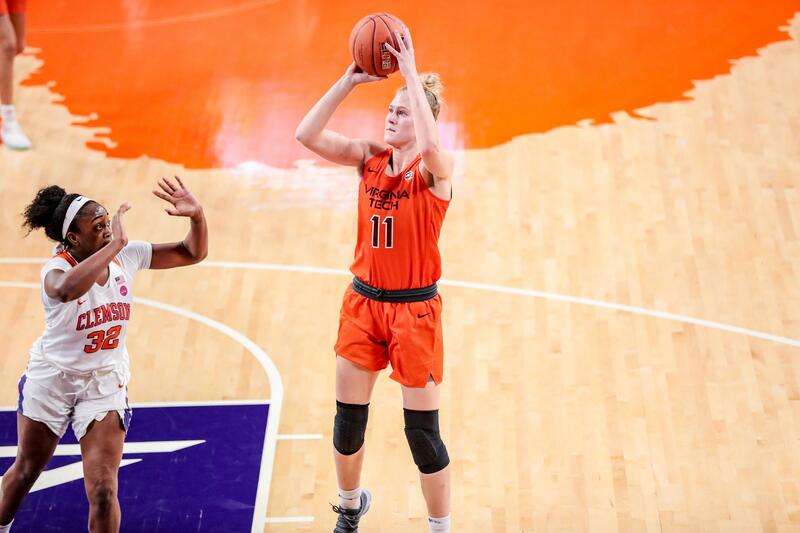 For the past three years, few women’s basketball players have dominated the NCAA quite like Virginia Tech star forward Regan Magarity. 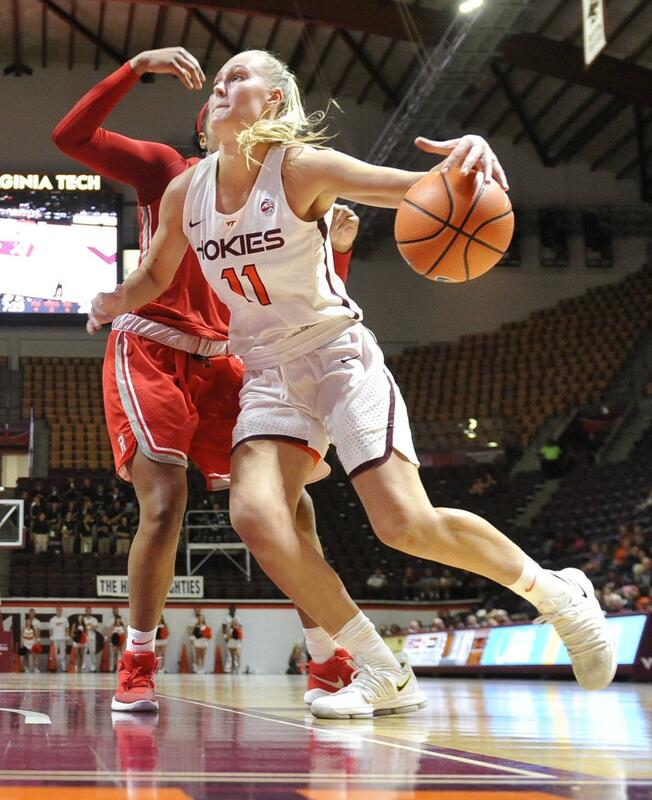 Now a redshirt senior and captain, the 6-3 Swede has logged more than 1,500 points for the Hokies, enough to place her fifth in all-time scoring for the program. After breaking the program record for career rebounds during her junior year, Magarity since has enhanced that record, tallying more than 1,200 career boards. 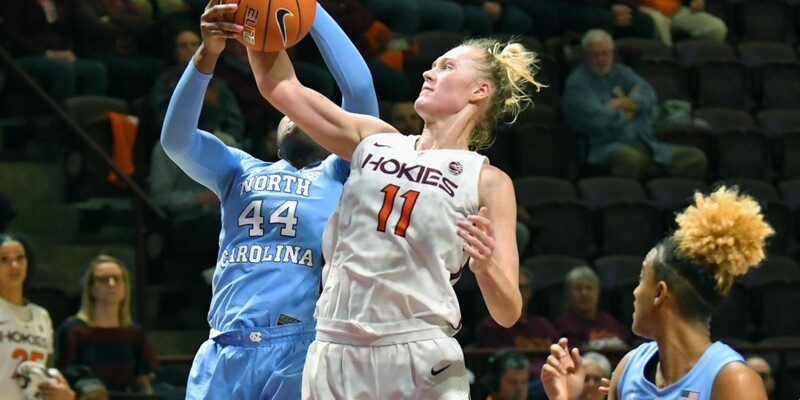 A second-team All-ACC performer – and a member of the All-ACC academic team – she is averaging 14.2 points and 12.9 rebounds as the Hokies prepare to play James Madison in the third round of the Women’s National Invitation Tournament. Magarity’s dominance in the paint should come as no surprise. After all, basketball is in her blood: Her brother played at Davidson; her father played at Georgia; her mother played for the Swedish national team; her uncle coaches the women’s team at Army; her cousin coaches the women at New Hampshire; and her brother in law coaches the men at Virginia Military Institute. We caught up with Magarity near the end of the regular season. 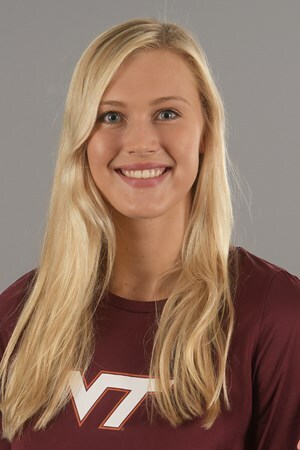 Among other topics, she reflected on her career, an injury that sidelined her for most of her freshman year, her leadership role for the Hokies and what lies ahead. You had a pretty bad injury your freshman year and ended up rehabbing for the rest of the season. How did that challenge you as a newcomer to the States and NCAA basketball? How did the injury change you? Actually, my compartment injury started two years prior to me going to Virginia Tech. We were just unable to really diagnose the injury correctly. Not until I got to Virginia Tech was I able to get properly tested and diagnosed with compartment syndrome. Not knowing for two to three years what was really wrong with me, I was relieved to get a final diagnosis. It was very disappointing not being able to play during my first year at Virginia Tech, but at the same time my rehabilitation gave me a total focus and purpose on what I needed to do to be able to get back and play at a high level. My injury taught me the importance of patience and to be goal-oriented in my rehabilitation. Since then, you’ve consistently gotten better and more dominant in the paint. How have you managed to keep such positive momentum over the past four seasons? My first season playing after my operation was very difficult. I was hoping that all the pain I had experienced prior to the operation would disappear, but after speaking to the doctors I knew the chance of that happening was very slim. I was in a considerable amount of pain and it was just a matter of me dealing with it on a daily basis. I’ve tried to constantly improve my conditioning and physical strength as well as my basketball skills. Each year I’ve tried to add a new dimension to my basketball game. I constantly try to improve as a player, and it is something I have to work at every day. You’ve scored more than 1,000 points and grabbed more than 1,000 rebounds. How do you reflect on your career at this point? Do you feel like there’s still more for you to achieve? Any unfinished business on the court? As a redshirt senior and Hokies superstar, what kind of leadership role do you take on during the season? Do you feel any pressure to keep being a double-double machine? We have a team that is almost divided in half with a large number of senior players and a large group of young, inexperienced players. I feel it is my responsibility to provide calmness and energy to the team when it is needed. The best way for me to do this is being able to perform and contribute at a high level in practices and games. I don’t often think about my personal statistics, I really just focus on preparing for each game and to go out and play hard and do what’s come natural. What’s next for you? What are your career aspirations? Do you want to keep playing basketball? I have aspirations of playing basketball professionally after my graduation in May. If the opportunity is there to play in the WNBA, I would certainly take advantage of that situation. If not, I am looking forward to playing professionally in Europe or Australia next season. 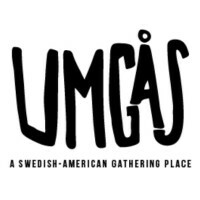 Have you found any good traditional Swedish or Scandinavian food in Blacksburg or elsewhere? 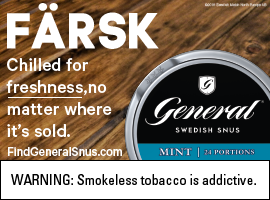 Unfortunately, I have not been able to find any good traditional Swedish food in Blacksburg, but I’ve really enjoyed Southern style food and cooking. What do you like to do when you’re not on the court or in the classroom? Do you have any hobbies? I really just like to hang out with my friends and play cards or go to the movies. Any plans to go see your brother play in Croatia? In mid-May I receive my master’s degree, and after that I will hopefully be able to go and see my brother play in the playoffs for the Croatian championships.